This impressive master bath spa retreat ended up being one of our favorite projects. Not only did it turn out beautiful, but it was technically challenging for us, too. And thanks must go to Roshele Allison for her spectacular design that allowed us to create such a tranquil and unique space. LED panels from Imagilux, which allowed us to create a one-of-a-kind room that creates a bright, fresh, and serene experience. 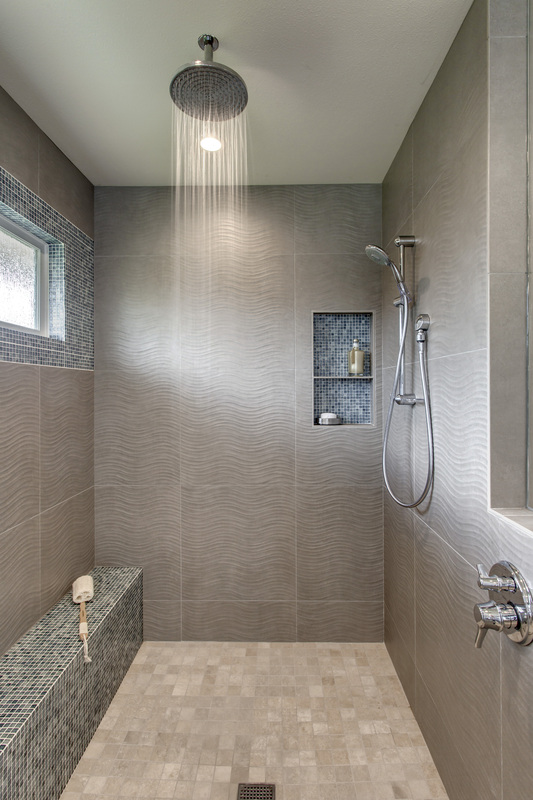 As you explore the bathroom, you'll notice the pristine shower, designed with a smooth glass door and rainshower head. Also attached is a handshower, ideal for use either standing or seated on the smooth bench. 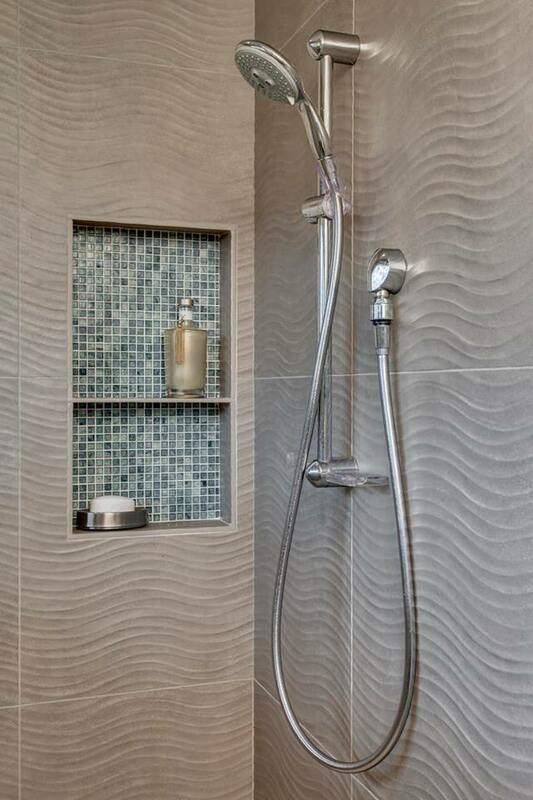 The bench also flows outside of the shower, with built-in storage for towels. The towel bar, floor, and bench are all heated. 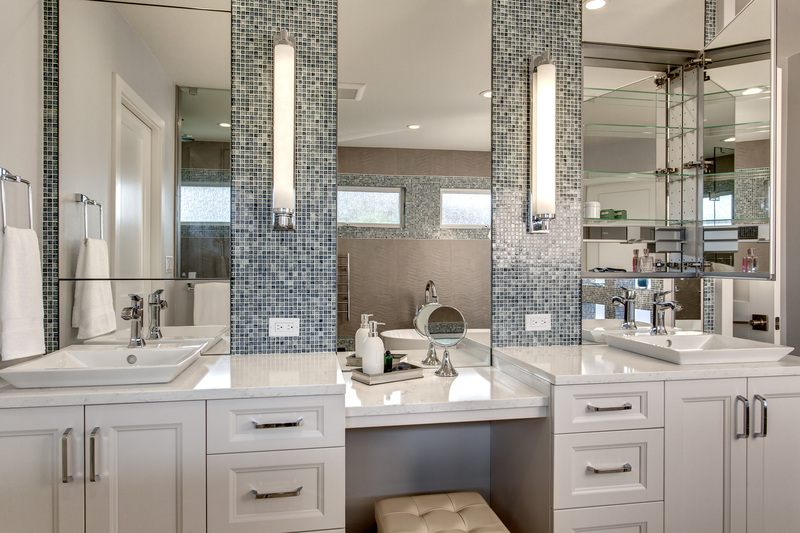 As we designed this bathroom, we wanted to preserve space and emphasize inconspicuous storage options. 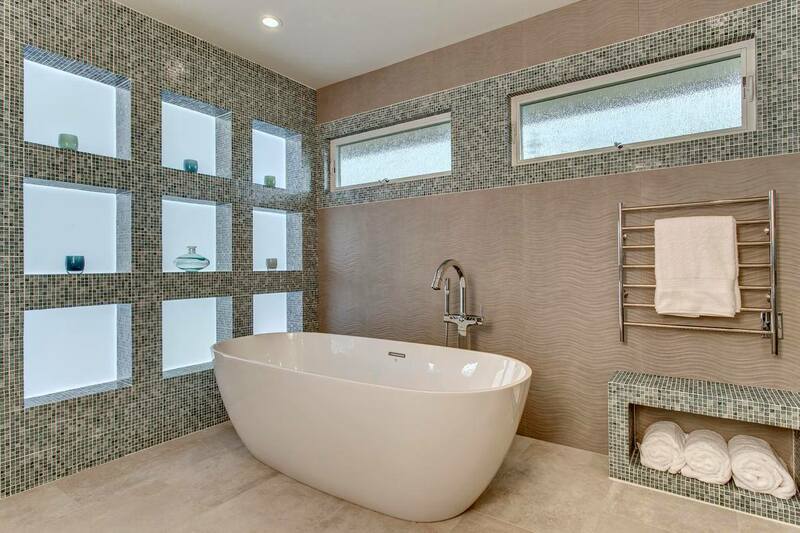 The neutral patterns and colors flow well together in this design, pairing beautiful Pental Quartz Mysterio countertops with the glass tile mosaic and Toto Kiwami sinks. It's a modern, yet subtle sink set in a flush vanity wall. The recessed Robern medicine cabinets are unobtrusive, with lovely sconces by Restoration Hardware. This bathroom shows that when you listen well, plan carefully, and have the best team, you really can dream big.